VMware Partner University provides a free two-session QuickStart series for vCenter Orchestrator, running on September 19th and 20th 2012. 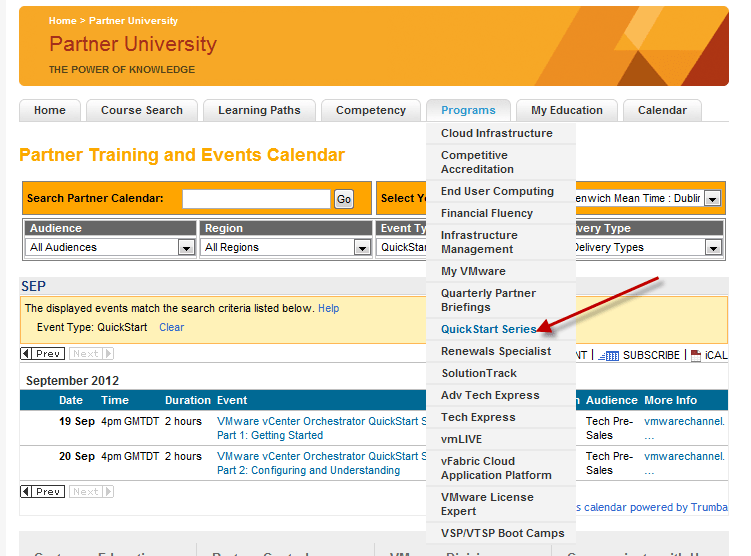 If you are a VMware Partner (AFAIK no matter what Partner Program/Level): Login to PartnerCentral, browse to Partner University and select “Programs/QuickStart Series”. vCenter Orchestrator becomes a more and more important piece in VMware’s portfolio, so it’s about time to get started!